﻿Waterboard De Dommel intends to control storm and waste water flows to efficiently meet the requirements of the EU Water Framework Directive concerning quality of the sensitive receiving water: the Dommel River. 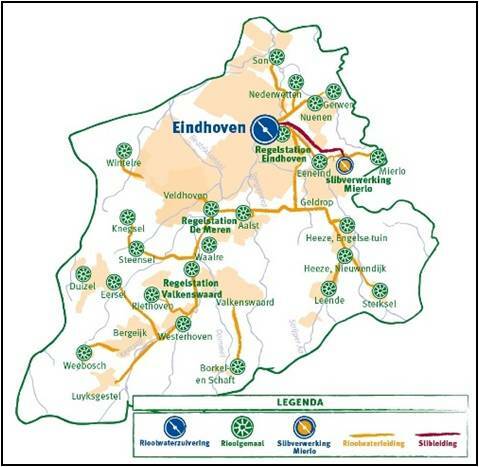 Initial cost estimations show that a traditional approach would require investments of about 150 million EUR. By applying an innovative combination of monitoring and modelling and constructing adequate technical measures, the storm and waste water flows will be actively controlled based on water quality and quantity in the receiving water (so-called pollution load control). By applying this integrated approach, it is expected to save about 70% of the total costs. Based on detailed hydrodynamic models, a fully integrated simplified model including the sewer, the WWTP and the river is implemented in WEST. This allows overcoming: (1) the communication problem typical of linking different software, reducing the possible scenarios to be run, e.g. integrated RTC; (2) the simulation speed problem of detailed models, reducing the time needed to run each (long term) scenario by orders of magnitude. The project (initially named KALLISTO) won the first prize at the 2011 Dutch Water Innovation Award and the IWA Project Innovation Award for 2014, Applied Research in Europe and West Asia, Honour Award. 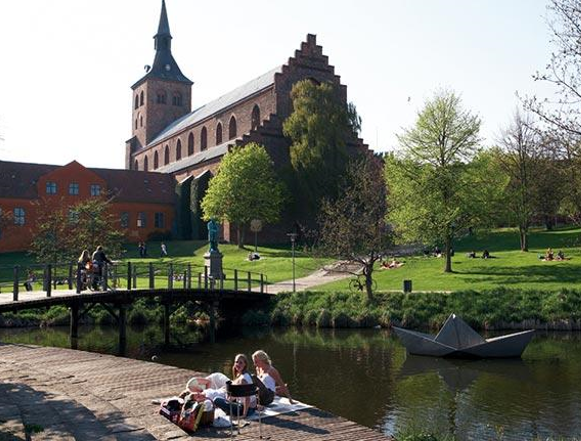 VandCenterSyd (VCS) Denmark, a water and wastewater utility in Odense, Denmark, is working with Waterways and CH2M on a wet weather integrated planning project to protect the ecosystem of the city’s rivers. Conventional approaches have not been tailored to river needs, and there is concern that these are not effective or affordable in the long term. Like many utilities, VCS is facing considerable pressures as a result of changing climate, aging infrastructure, growing populations, urban development, environmental regulation and affordability. Central to VCS’ new planning approach is the use of a fast-simulating integrated model, which predicts river water quality changes in response to wet weather dynamics across watershed, stormwater, wastewater collection and wastewater treatment sub-systems. A suite of environmental quality standards (EQS) are being used as design criteria. While the model undergoes final validation against new continuously monitored river quality data, a number of scenarios are currently being explored, including a consideration of climate change, growth, the build-out of planned improvements and different combinations of grey and green infrastructure. One feature of the model is to calculate annual operating costs, including electricity and chemicals, which will support a triple bottom line assessment, balancing the environmental improvements gained against the costs of achieving them.